304 stainless steel towel ring, with polished finish, makes the towel holder long durability. Hand polished stainless steel finish, build to resist daily scratches, corrosions and tarnishing. 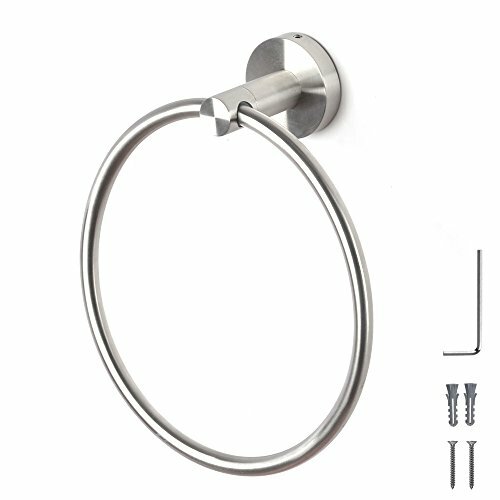 This bathroom towel ring will always keep your towel clean and safe for mirror-like polished finish and rustless steel. Round base design beautiful, modern design. All Stainless Steel construction, ensuring quality and longevity.